If you have a Yahoo Mail account, Yahoo has been scanning all of your emails to help U.S. intelligence agencies. At least according to Reuters. After receiving a “classified directive,” Yahoo built custom software to scan all of its email traffic for the NSA and/or FBI. Reuters claims the governmental agencies were looking for a specific string of characters. Yahoo chose to comply with the order to search for this string of characters. And, as a result, scanned millions of emails, all without users’ knowledge or approval. We don’t know what that string of characters was, or who the authorities were targeting. 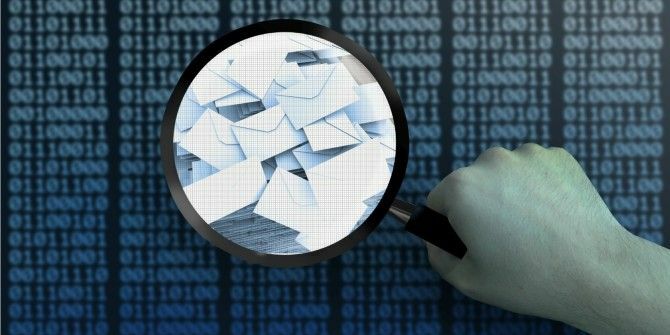 We also don’t know whether this wholesale scanning of unsuspecting users’ email accounts proved successful. All we do know, assuming the former employees who leaked the story are telling the truth, is that Yahoo chose to snoop on its users How Britain's "Snoopers' Charter" Might Affect You How Britain's "Snoopers' Charter" Might Affect You British Prime Minister David Cameron intends to resurrect the "Snooper's Charter", a privacy-breaching set of new measures to enable enhanced monitoring of communications by the security services. Can it be stopped? Read More . Yahoo issued a statement simply saying, “Yahoo is a law abiding company, and complies with the laws of the United States.” However, it is possible to abide by the law without agreeing to spy on your users in such an egregious manner. There’s a danger we’ll all start thinking this is the normal state of affairs Your Interest in Privacy Will Ensure You're Targeted by the NSA Your Interest in Privacy Will Ensure You're Targeted by the NSA Yes, that's right. If you care about privacy, you may be added to a list. Read More . Whereas in actual fact this is the first known instance of a company proactively scanning incoming emails at the behest of an intelligence agency. At least in the United States. So, it seems clear that Yahoo complied with a request that almost every other tech company in the U.S. would have turned down. Which puts the company in a very awkward position right now. Yahoo needs to explain its actions here, or its users will surely never trust it again. Those thinking "I'm deleting my Yahoo account." Um, Yahoo reuses usernames. Deleting your account is also security issue. Maybe go dormant. Do you have a Yahoo Mail account? What’s your immediate reaction to the allegation Yahoo has been snooping on your emails for the NSA? Will you be closing your Yahoo account as a result of this revelation? Please let us know in the comments below! Explore more about: Surveillance, Yahoo, Yahoo Mail. But there's no connection between the two. Except neither paint Yahoo in a particularly good light! The pessimist in me automatically thinks that the other tech companies are just saying to make themselves look good. I sincerely hope that's not the case though. The issue I have, is that people just don't care about their online security or privacy. They would rather assume that these huge companies will keep their best interests at heart, but that isn't always the case, as proven here. The general consensus is that if you take these things seriously, you should be donning the obligatory tinfoil hat. This perception really needs to change - due to being too open online, how many people have to get hacked, lose their jobs, or worse (Kim Kardashian break in) for this stuff to be taken seriously? I doubt the other companies are lying about not being asked to do something similar. As if it was ever to emerge that they lied, they'd lose all credibility. However, who knows whether they would actually fight tooth and nail or just comply for an easy life as Yahoo appears to have done. People, especially younger generations, seem to have a laissez faire attitude towards privacy. Which is, of course, exactly what the intelligence services want to foster.